Many Book of Mormon commentators have found that the social, religious, and political upheaval that started a few decades before the opening chapter of 1 Nephi, and was ongoing in Lehi’s day provide a useful and fascinating backdrop to early Book of Mormon events. The view that Lehi was not in agreement with the zealous reform efforts has proven to be an incredibly powerful paradigm for explaining aspects of the Book of Mormon. Kevin Christensen, Brant Gardner, and even non-LDS scholar Margaret Barker are leading advocates of this view, though it is not without its critics. A main criticism of this point has been that Deuteronomy (the key text used for the reformers; hence they are often called the “deuteronomic reforms”) seems to be favorably used and cited by Nephi, Lehi, and others. Christensen, in responding to this notes: “The Law in the Book of Mormon never closes the door on revelation but rather promises more. 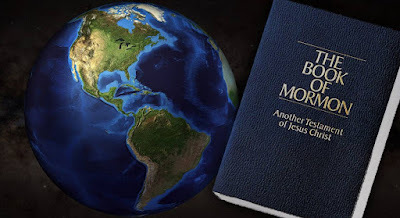 The Law in the Book of Mormon is never seen as an end in itself, but as a type and shadow of Christ.” Nephi saw the law as something that pointed toward the Atoning Messiah (see 2 Nephi 11:4; 25:24-30). This is directly at odds with the deuteronimic reforms, wherein (according Barker, Christensen, and Gardner) the law was supplanting the wisdom tradition (which included dreams, visions, and revelations – all of which Lehi and Nephi obviously believe in) and the Atoning Messiah is being suppressed. Here they praise the Jerusalem elites, say that they are righteous, stress that they obey the law, etc. In contrast, the ridicule Lehi as a “visionary man” (see 1 Nephi 2:11). Lehi and Nephi appear to be supporters of the old religion, while Laman and Lemuel are supporters of the reformers, who had the elite social status in Jerusalem at the time. Gardner and Christensen have both suggested that they may have been Deuteronomists. While being ideologically opposed to Laman and Lemuel, Lehi and Nephi cared about Laman and Lemuel and are constantly trying to persuade them of the error of their ways. After one such effort Nephi, expressed “great hopes” that they might finally repent (1 Nephi 16:5), while during another Nephi’s “soul [was] rent with anguish” because of their hardheartedness (1 Nephi 17:47). Meanwhile, Lehi speaks to them “with all the feeling of a tender parent” (1 Nephi 8:37), and even as a “trembling parent whose limbs… must soon lay down in the cold and silent grave” (2 Nephi 1:14). This desire to convert Laman and Lemuel to the “true cult of Yahweh”, as an anthropologist might put it, could serve as an explanation of Nephi’s and Lehi’s use of Deuteronomy. That is, understanding Laman and Lemuel’s allegiance to the Deuteronomists, Lehi and Nephi may have framed their message in deuteronomic terms in hopes of appealing to their deuterononimc sensibilities. But their message was decidedly different. As pointed out, they used Deuteronomy to point toward the Messiah. Lehi used Deuteronomy only as a parallel and not as a foundation for his teaching and blessing. He had experienced the same kinds of visions and revelations that Moses had received. In a vision, God showed Lehi the mixed future of his people and the salvation of all mankind. He had beheld the future birth and ministry of the Messiah, the Son of God. He had seen the triumph of God and his people in the last days, and he had beheld God himself on his throne. The last thing Lehi would have wanted to communicate was the Moses’ writings were the sole source of his understanding…. But he knew that his rebellious older sons specifically rejected his visions, calling him a visionary man (1 Nephi 2;11), and he therefore took advantage of Moses as support. Thus Lehi phrased his message in terms that should have repeatedly reminded his hearers of Moses’ similar message delivered on a similar occasion. The words of Moses as a sole source of authority is thoroughly deuterononmic view, and one which Laman and Lemuel were likely to hold. Meanwhile, visions, the Messianic son of God, and a throne theophany (the experiences Lehi had, which his older sons rejected) were all part of the wisdom tradition. Lehi thus frames his message in deuterononmic terms in hopes of getting through to Laman and Lemuel. This same motivation may lie behind Nephi’s use of the Deuteronomy and the law as pointer toward Christ. In short, Nephi could be trying to play on the sensibilities of his older brothers, in hopes of teaching them of the Messiah. This is, of course, only a preliminary suggestion. Careful parsing of the allusions to Deuteronomy and law in 1 and 2 Nephi would need to be done in order to more fully investigate this possibility. See Kevin Christensen, “Paradigms Regained: A Survey of Margaret Barker’s Scholarship and its Significance for Mormon Studies,” Occasional Papers 2 (Provo, UT: FARMS, 2001); Kevin Christensen, “The Temple, the Monarchy, and Wisdom: Lehi’s World and the Scholarship of Margaret Barker,” in Glimpses of Lehi’s Jerusalem, John W. Welch, David Rolph Seely, and Jo Ann H. Seely, eds. (Provo, UT: FARMS, 2004), 449-522; Brant A. Gardner, Second Witness: Analytical and Contextual Commentary on the Book of Mormon, 6 vols. (Salt Lake City, UT: Greg Kofford Books, 2007-2008), 1:31-41, 214-222; Margaret Barker, “Joseph Smith and Preexilic Israelite Religion,” in The Worlds of Joseph Smith: A Bicentennial Conference at the Library of Congress, John W. Welch, ed. (Provo, UT: BYU Press, 2006), 69-82. Grant Hardy, Understanding the Book of Mormon: A Reader’s Guide (New York: Oxford University Press, 2010), 39-40. The reformers were the Jerusalem elites, city-dwellers who controlled the government. Meanwhile, the old religion was retained mainly by country folk who maintained belief in the feminine divine wisdom figure, often represented by the tree of life. These country folk were seen as rather backward and superstitious in the eyes of the Jerusalem establishment. In this light, consider Lehi’s dream, where humble wisdom seekers eat from the tree of life in the wilderness while well-dressed elites mock them from a great and spacious building. Daniel C. Peterson, “Nephi and His Asherah,” Journal of Book of Mormon Studies 9/2 (2000): 16-25 has shown that Nephi associates the tree of life with the divine feminine, and that Nephi’s vision and Lehi’s dream show strong affinities to the wisdom tradition. See Christensen, “The Temple, the Monarchy, and Wisdom,” 497; Gardner, Second Witness, 1:92. In anthropological terms, “cult” is used to refer to the various group of ritual-based worship communities. Noel B. Reynolds, “The Israelite Background of Moses Typology in the Book of Mormon,” BYU Studies 44/2 (2005): 11. Reynolds, “The Israelite Background,” 12. Neal: Very insightful! It helps me understand where Laman and Lemuel's recalcitrance was coming from. It also makes me wonder--was it the strength of family bonds or simply of Lehi's character that L & L were persuaded to go with their family into the wilderness??? Thanks Frank! I'm glad you found this interesting. You certainly raise an interesting question. The answer, in part at least, can probably be found by looking to their culture. I don't have specific references off-hand, but I know Nibley and others have talked about how there is a strong culture of obedience to the patriarch of the family going way back into ancient times in that area. I suspect that probably has something to do with why they followed Lehi in the first place. Thanks for your comment. I hope you can find more to enjoy here in my small little space on the internet.